2013 has been a great start for YPG again and my role as head of business development. We closed off 2012 with a landmark deal with Yahoo to power their local search, “[FIRST LOOK] Yahoo! Canada Integrates YellowAPI.com for Local Search” and have started off 2013 expanding that relationship along with a number of new deals that are at various stages of completion. One such deal is our recent announcement to become Canada’s largest Premium SMB Partner of Google in Canada. We are now the only partner of Google who services businesses in every province in Canada and in both official languages which is pretty cool. You can read the official press release, “Yellow Pages Group Selected by Google as an AdWords Premier Partner for Small Businesses“. As part of this announcement I have done a guest post on LifeInYellow.ca titled; Investing in Partnerships That Benefit Our Small Business Clients. In this post I talk about the importance of a robust partner eco-system to ensure that we get SMB information in front of as many consumers as possible. Click on the link about or the image below to read my latest post. 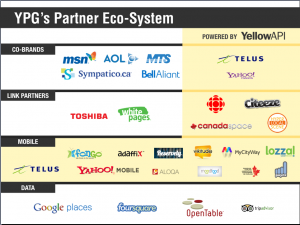 The YPG Canada partner eco-system to ensure that Canadian SMB’s get as much exposure to consumers as possible. This entry was posted in Directory and Yellow Pages Advertising, Google, Google Adwords, Search Engine Marketing, Yellow Pages, YP and Local Search on May 4, 2013 by Darby Sieben. 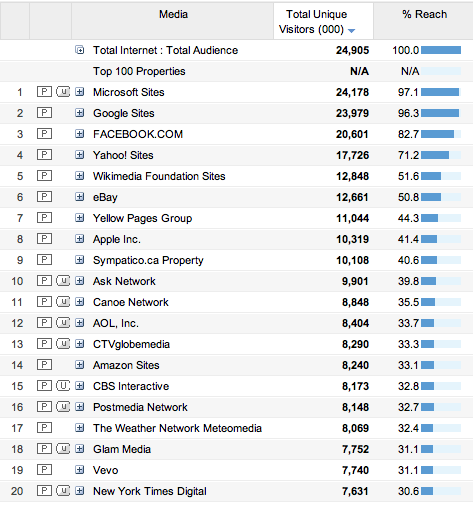 Over the past few years I have blogged often about news in the Canadian Space regarding mobile. Up until this point in time, I never stated explicitly that mobile was a necessity for SMBs in Canada but, we are at the tipping point in Canada of mobile usage (especially SmartPhone usage) and it is now very important for SMBs to start thinking mobile and most importantly make sure their content is mobile friendly. What is mobile friendly content from a SMB? In a nutshell, it is when you can view your content on a mobile device (Apple iPhone, Blackberry, Android, etc.) in a native format by which the user does not have to zoom or pinch the screen (for all your iPhone users). For this example, I am going to use my personal Dentist, Optimum Dentistry in Marda Loop to demonstrate the difference between Mobile Enhanced Content and Rendering on a Mobile Phone. As a user – which one your you prefer to land on? Mobile enhanced content basically means rendering for the native device in which the user is viewing, which really means that your website designer need to put some specific code on your website that detects the users device and serves up content formatted for that device. Normally, mobile sites will consist of less content than website. Keep in simple – a) what you do, b) hours of operations, c) map and driving directions (you can usually use the native device for this), d) what you sell. Keep all the enhanced content, flash, massive photo galleris and in some cases if you have advanced forms or e-commerce off you mobile site; devices are too small and in mobile, LESS = MORE. What About Mobile Marketing in Canada? Well this is where it gets very easy. There are really 2 key places that you need to be concerned about when it comes to mobile marketing in Canada. 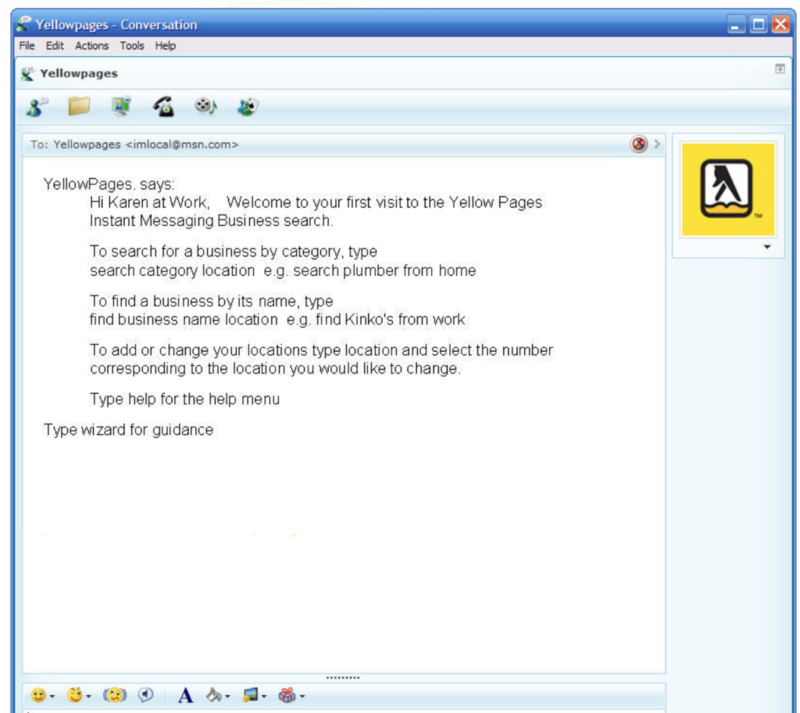 Google and YellowPages.ca. NOTE: if you are a client of YellowPages.ca, all your business listing information gets syndicated to Google (as well as MSN and Yahoo). If you want a quick snapshot of syndication in Canada, check out an old blog post titled – Directory Assistance in Canada – Paid and Free DA – Facts Every Consumer and Small Business Owner Should Know. 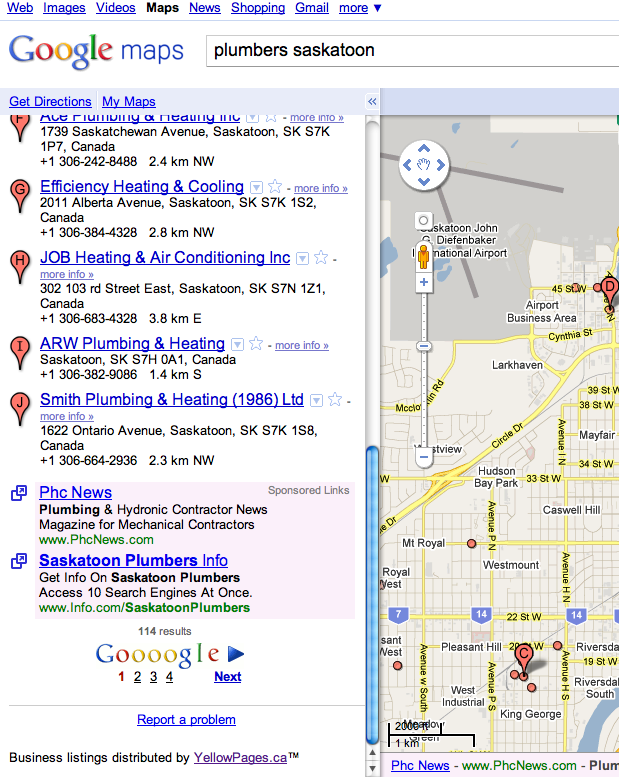 Both Google and YellowPages.ca are completely mobile enhanced web properties. See examples below for looking at data on Ramanda Hotel and Suites in Vancouver. To learn more about Google Mobile click here. 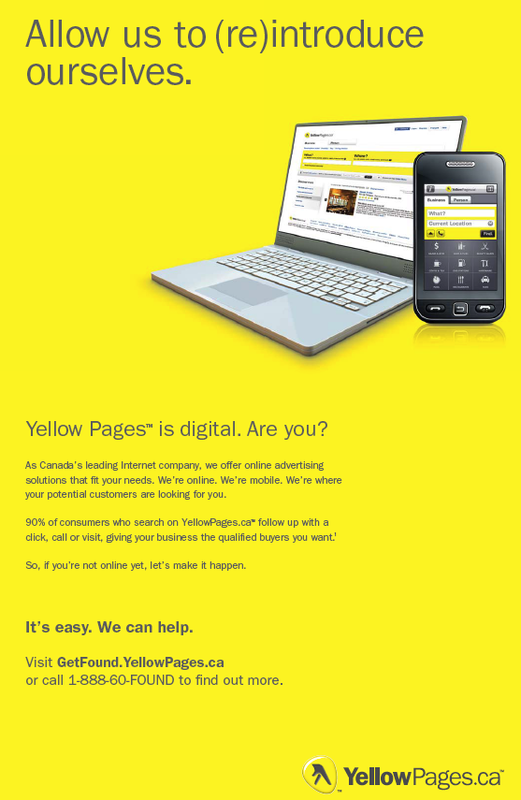 To learn more about YellowPages.ca Mobile click here. The above are mobile web. In the application space, Google does not disclose its download numbers, but YellowPages.ca has now been downloaded over 1.8M times, which by all accounts makes it the most downloaded local application in Canada. At this point, any content that you have on YellowPages.ca is automatically ported over to YellowPages.ca Mobile + YellowPages.ca Mobile Applications, so SMBs are getting growing coverage. 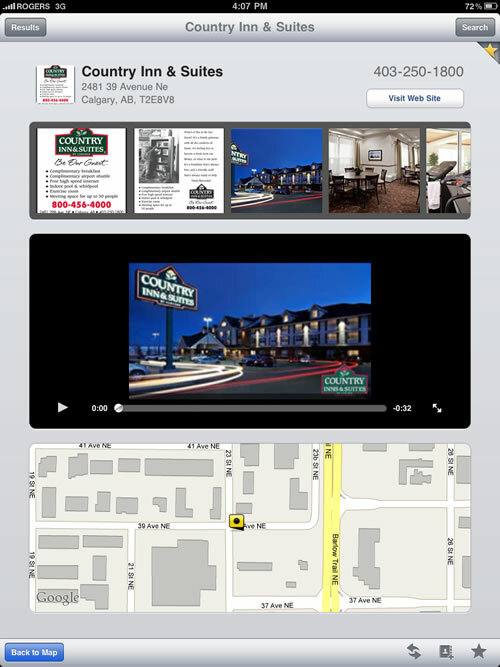 In March of this year, I posted the following blog post which shows you some screenshots of the iPhone application by YellowPages.ca – New YellowPages.ca Mobile Application Available. In June, I followed up with the following post introducing the iPad application for YellowPages.ca – First Look – YellowPages.ca iPad Application which managed to become #1 within 24-hours of its launch and has consistently stayed in the top 50 downloaded applications. Lastly, back in April I did a comparison of the top mobile applications in Canada, from a SMB perspective – the voting is still open if you want to vote for your favorite mobile interface, please do so. 3) In your analytics, track the number of mobile views (you will probably be surprised at the increasing number of your customers who are accessing your basic business data via mobile). Overtime as the mobile space heats up, this simplified strategy will change, but for now, keep it simple, prep your content and start to monitor usage. This entry was posted in Google, iPad, iphone, Mobile Search, Yellow Pages, YellowPages.ca, YP and Local Search and tagged canadian smbs, google mobile, Mobile, mobile enhanced content, mobile web, yellowpages.ca mobile on November 7, 2010 by Darby Sieben. My last post taked about Weather and Local Search and how we completed an integration with The Weather Network and Yellow Pages Group. If you are interested in integrating local search powered by YellowPages.ca in your Canadian property; at the bottom of this post I have connection points – I would be happy to discuss options with you. For this post I wanted to focus on a couple of integrations on Real Estate websites and Local Search. Both of these categories are completely complimentary and when you combine local search to a real estate offering you provide a more complete user experience. About Home Trader (from their website) – homeTRADER.ca – Canada’s Real Estate Search Engine – It’s a one-stop destination with listings and information on homes for sales, apartments for rent, house rentals, condos for sale across Canada. When you click on a particular location it will provide you with pop-up summary of the location and give you the option to find more details on the property. I decided to click on a rental property on Nelson Street. The following popular categories you can find around any location on homeTrader.ca – Grocers, Shopping Centres, Schools, Churches, Restaurants, Gas Stations, Clinics, Childcare and Banks. These are all extremely popular urban market categories that anybody is looking for when moving to a new location in a city. Since each category is toggle on/off makes it very easy for any user to find exactly what is important to them. About ByTheOwner – from their website – Our mission is to give consumers a complete real estate service through the Internet so they can sell, buy or rent a property privately, without an agent and with no commission. Together, ByTheOwner and its French counterpart DuProprio constitute the largest and most visited For Sale By Owner network in Canada. Home Page – starting with the home page you are presented with a number of hot properties that are available as well as a number of search functions. If you select a property – you end up going to the properties detail page. On the detail page you are presented with all the details on the property. Notice at the bottom of the property you are presented with a local search area (powered by YellowPages.ca) that gives a potential new home owner with access to popular search categories and the ability to conduct a local search. One very nice feature with this implementation is that all the one-click categories are pre-populated based on the location of the address in which you are looking at. The user does not have to think about whether the search is locally relevant or not, all searches are automatically targeted to the properties location – very cool. 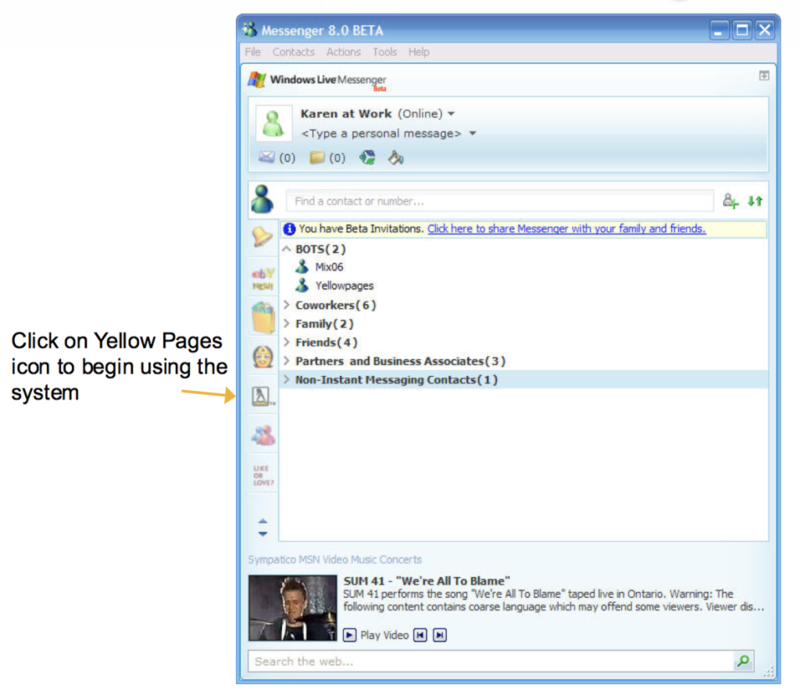 This integration is also part of DuProPrio.com, the french language counterpart to the ByTheOwner.com. So what do you think about the following integrations – is this something that is useful for end users? If you are interested in integrating Canadian local search, powered by YellowPages.ca, in your properties, please feel free to contact me via my LinkedIn.com profile or my Twitter account and I will provide you with my work email address and one of my business development team will connect with you regarding integration options. This entry was posted in ByTheOwner.com, DuProPrio.com, hometrader.ca, Real Estate, YellowPages.ca, YP and Local Search and tagged by the owner, ByTheOwner.com, canadian local search, DuProPrio.com, home trader, hometrader.ca, Real Estate, yellow pages on January 17, 2010 by Darby Sieben.